Size : 12.7 x 17.0 inches. / 32.2 x 43.2 cm. 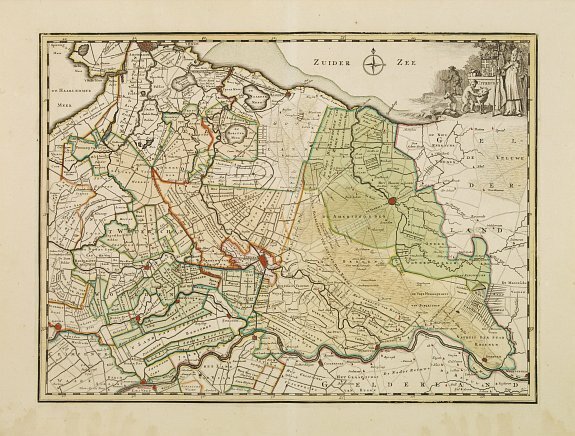 Description :Detailed map of the province of Utrecht. Including Amsterdam, Naarden, Amersfoort, Rhenen and Gouda. Fine title cartouche of Bishop and agricultural scenes. Condition : In very good condition, printed on heavy paper.